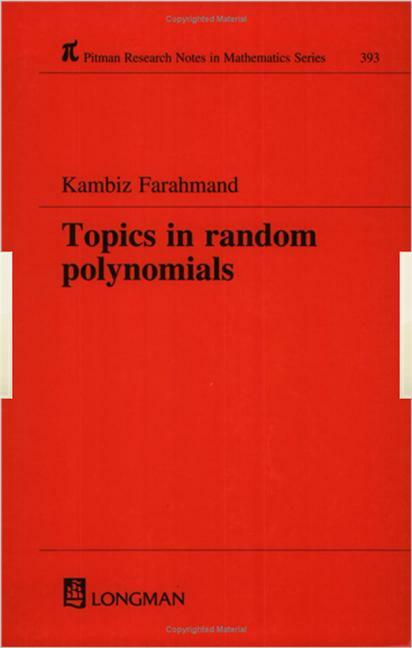 Topics in Random Polynomials presents a rigorous and comprehensive treatment of the mathematical behavior of different types of random polynomials. These polynomials-the subject of extensive recent research-have many applications in physics, economics, and statistics. The main results are presented in such a fashion that they can be understood and used by readers whose knowledge of probability incorporates little more than basic probability theory and stochastic processes. Preface. Introduction. Level Crossings of Stochastic Processes. Algebraic Polynomials. Trigonometric Polynomials. Orthogonal Polynomials. Hyperbolic Polynomials. Other Distributions. Complex Coefficients and Complex Roots. Bibliography.